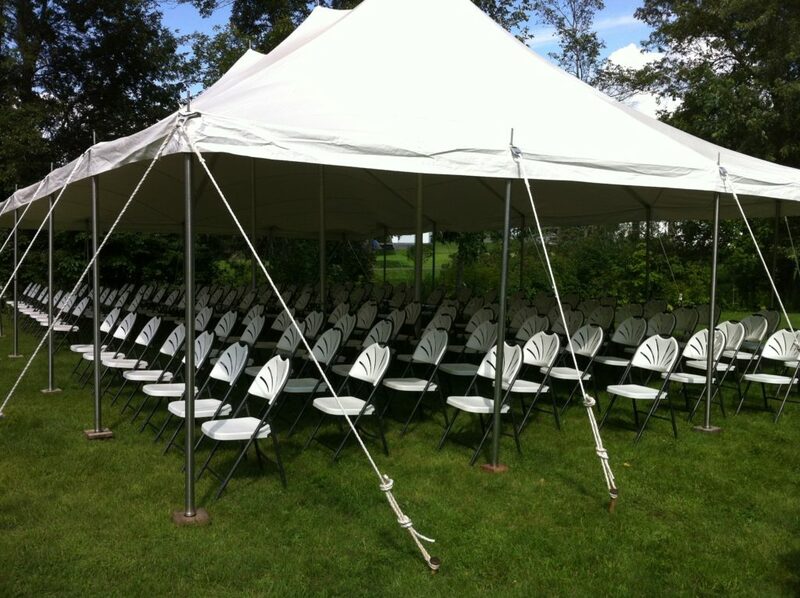 Lauzon Tent Rentals carries a wide variety of tents that can be used for virtually any event. We have large tents that are perfect for weddings or large gatherings, as well as smaller tents that are perfect for small parties. Whatever your need, Lauzon Tent Rentals has you covered. Our tents are either poled or marquee tents, depending on your needs. Poled tents have poles supporting the centre and sides of the tent, while marquee tents have no poles in the middle. We can work with you to determine the best tent for your event and property. All of our tents are white vinyl. We pay special attention to keeping them clean and ready for the next clients’ use. Each tent also comes with side walls with windows that can be installed, or left off, depending on your wants and needs. So if you’re planning a wedding, birthday party, outdoor business function or any other outdoor event, contact us today. We’ll help you find a tent that will add the perfect touch to your special day. Click here to view more photos of our tents. Interested in learning more about the tents offered by Lauzon Tent Rentals? Contact us today for more information and for a quote.